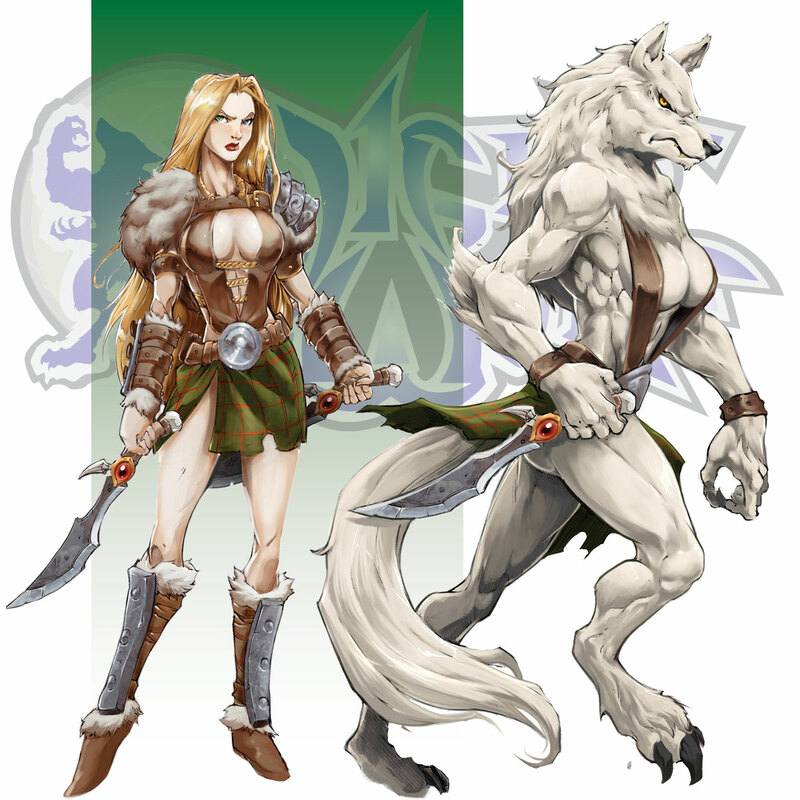 Height: Human - 5' 8", Lycanthrope - 6' 1"
Weight: Human - 138 lbs., Lycanthrope - 200 lbs. Cirilla MacKinlay, Cirray for short, is a Purebred Monoki born centuries ago, and was raised on a small farm in Scotland. On the night of her eighteenth birthday her family's little farmhouse was attacked by a small militia of werewolves and vampires lead by Black Claw’s predecessor, Rip Claw. Rip Claw forced Cirray to watch her family die. Her Lycanthropy was triggered in a fit of rage as she took out many of the drones before Rip Claw grabbed her by the throat. Before Rip Claw could gut her, Cirray was saved by her soon to be mentor, Silver Mane.